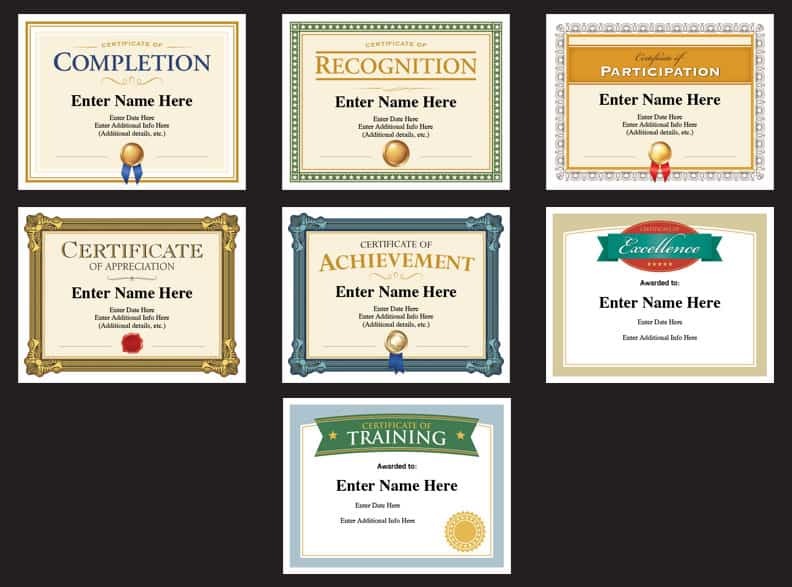 Professional Certificates Templates – Are you looking for a fun way to recognize a professional achievement? Do you need a certificate of completion or a certificate of participation? Or, how about a certificate of excellence or a certificate of recognition? Maybe a certificate of training? 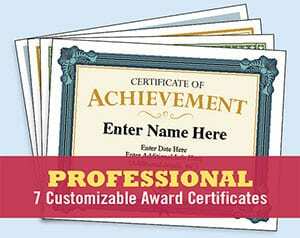 Get this seven pack of these certificates to recognize colleagues, professionals, students and more. It’s easy to use these well-designed certificates. Select the certificate you’d like to use. Personalize it with name, date, accomplishments and words of praise. Use the text fields. Folks who receive these certificates love them. Some may choose to hang on walls and cubicles in an office environment. While others may take them home to post on office walls, bulletin boards or even the home refrigerator. Everyone craves some validation. Check out this popular YouTube video on validation. With purchase, you’ll receive a link that will enable you to instantly download the PDF file featuring these 7 professional certificates. PDFs work on Macs and PCs. Just make sure you have the latest version of Adobe Reader (which is available for free). Personalize with name, date, and other details into the text fields. Then, print and present. It’s that easy! These award certificates are polished and professional in appearance, and yet easy on the wallet. You can use them year after year to get more value from your purchase. Professional certificates like these can be used for a variety of reasons. When a course is finished, an instructor might award certificates of completion. Say “thank you” with a certificate of appreciation. Has someone done the impossible? Award them a certificate of excellence. The options are endless. You’re only held back by your own imagination. 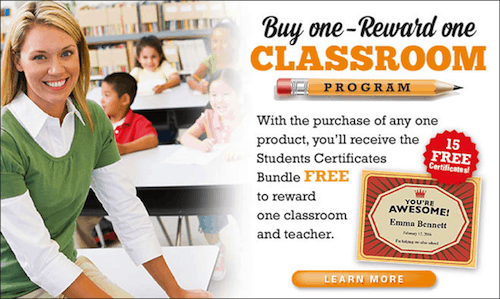 Purchase these Professional Certificates Templates, and receive the Classroom Bundle FREE!